New social media websites such as Facebook and Twitter enable librarians to converse, communicate, and collaborate with patrons as never before, because they are increasingly a part of people’s everyday lives. A brochure that describes your library with a few pictures is great, but a video tour that people can watch on your website or blog is immeasurably better. Enabling patrons to save their catalog searches is important, but offering the ability to notify patrons via email and text messaging when new acquisitions arrive presents a fresh way to connect with users. How can it help me better serve my users tomorrow? Here are 10 ideas you can use to start creating, collaborating, connecting, and communicating through cutting-edge tools and techniques. All of them are culled from the 10 books in the Tech Set series, to be published by Neal-Schuman in March. 1: Create a library video tour to welcome people 24 hours a day, seven days a week from any location. With today’s technology, even inexperienced video producers can create a video tour and put it on the library’s website for little time and money. The tools of the trade are: a camera, microphone, lights, computer, video and audio editing software, tripod for the camera, microphone stand, a portable lighting structure, and headphones. It seems like a lot, but with some bargain-hunting you should be able to get everything you need for a webcam setup from about $100. Library video tours aren’t just about the facility and its features; they’re a way to invite nonusers to come and visit. It’s about the warm welcome and the friendly service they will receive when they do come. It’s about the pride you feel being part of the community. It’s much more than just a tour! The secret is to pretend that you have never been to the library and are discovering it for the very first time. The tour should begin from the moment potential users decides that they are coming to the library. So the first thing you want to do is welcome them, introduce yourself, and tell them the hours you are open. Then introduce them to any library feature or service that you’d like, from information about travel, parking, and restrooms to instructions for getting a library card or visiting the reference desk. 2: Use SMS to send patron alerts and notifications. SMS (short message service, a.k.a. texting) is ideal for broadcast services. If your library sends out notices to its patrons, having the ability to send SMS alerts is a nice alternative to e-mail, and much more useful for most younger patrons. Research has shown that the current generation of students sees e-mail as old and outdated; they rely almost exclusively on texting to communicate with each other. There are ILS systems that provide a direct SMS gateway option and natively send texts out to patrons. But even if an ILS doesn’t have SMS capabilities built in, it probably has e-mail, and, with a little effort, you can give most patrons the option of receiving info via an e-mail SMS gateway. Most cellular carriers have a gateway that allows e-mail to be transmitted to a mobile phone via SMS. If your ILS can send out alerts via e-mail, you just need to give it the equivalent e-mail address for a patron’s cell phone, and it should work transparently. SMS has a 160-character limit for transmitting text, so if your e-mails tend to be very wordy or have extraneous text (signatures and such), you will need to pare them down before implementing SMS in your ILS. 3: Feed your library’s blog posts into Twitter without doing any more work. Twitter is immensely popular right now, and it’s a great way of letting your community members know what’s happening at the library. Is today’s storytime canceled? Let patrons know automatically. You can begin using Twitter by posting tweets yourself, but there are ways to automate Twitter so that it instantly posts content that other parts of your organization— from public programs to children’s services—originally creates. This can help to both reduce your workload and improve your library’s communication with patrons. One of the easiest ways to start getting content into a Twitter account is to set up a blog feed to post to your Twitter account automatically. You don’t have to use a blog; any application that can give information in RSS format (such as many online calendars or other social networking sites like Facebook) can be used as seed content for a fledgling Twitter account. All you have to do is find the RSS feed; once you’ve got the address for the feed, you can then use a third-party service such as TwitterFeed to have all posts automatically added to your library’s Twitter stream. 4: Improve customer service by developing a technology skills list for your staff. 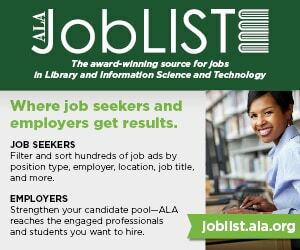 A technology skills list is an easy and efficient way to organize an ongoing technology training program at your library. Technology skills or competencies are the technology-related abilities, qualities, strengths, and skills required for the success of the employee and the organization. As you might imagine, these skills have increased in number with the advent of personal computers, the internet, and Web 2.0. Technology skills are crucial for the success of any organization, but critically important for successful customer service in libraries. Many of us in libraries are acting as first-line, de facto tech support. If we do not have a handle on the technology tools that we use, the technology gets in the way of our service to our users and things don’t run smoothly. We want everyone on our staff to be able to help our users equally. Our technology skills need to be so second nature to each of us that they come as naturally as breathing. By getting everyone on the same page with their technology skills, the library creates a frontline force with technology know-how, expertise, and ability, each one ready to step in and solve whatever problem or question comes up—right then and there. No more shuffling a user from one person to another or making the user wait minutes, even days, for an answer. 5: Create a special-event wiki. A wiki can be a good solution if you are creating a website for a special event but do not want to bother your webmaster with the regular updates you are planning to make. If you choose to host the wiki yourself, you will need to work with a webmaster in setting it. Once the webmaster has set up the backend, or you have used a third-party site to meet your requirements, you are ready to start adding content. Like any upcoming-event site, your wiki should be designed to include relevant information for the participants you are targeting. If you are planning a lecture series, you will want to include when, where, and who will be speaking. Your audience will find it useful if you include an image of the speaker and a biography; you might also consider embedding video footage of the speaker at another event. If you are planning a workshop or conference, you might start the wiki with just an announcement. As you figure out more about what is going to happen at the conference, what hotel will offer a discount, who the keynote speaker will be, and all the other conference details, you will want to add this information to the website. 6: Help your catalog evolve with personalization. A website can offer many additional features to users willing to register and sign in. Traditional library catalogs have offered such services to patrons as the ability to view the materials currently checked out, make renewal requests, place requests to be notified when items become available, make interlibrary loan requests, pay fines, and many other actions that might otherwise require a visit to the library. Self-service through the website has become increasingly expected. Personalization also enables the use of customized settings related to search and retrieval. Users might want to save search results for future consultation, bookmark specific items, or establish preferences regarding narrowing searches to their favorite databases or disciplines. Notification services also tie in to personalization, such as the ability to set up alerts to be notified by e-mail when the library obtains new materials in a specific area of interest. 7: Put together a Guitar Hero tournament that will attract a wide range of nonusers to your library for the very first time. Guitar Hero is a very popular videogame. Its controllers resemble musical instruments allowing players to “play music” by pressing the appropriate key as it scrolls across the screen. One of the reasons for Guitar Hero’s success is its popularity among both male and female gamers; another is that it can be played on almost every console (as well as mobile phones). The first thing you should do is determine what age level to target for your tournament. While the majority of your programs might group similar ages together, keep in mind that video game skills often can transcend the age of the player. It’s important to be clear about what age range your tournament is open to so that people don’t feel the rules are being changed midway through the registration period. 8: Use Facebook for chat reference. Many libraries have expanded into digital reference service by providing chat or instant messaging service to their users. Libraries use a variety of programs to provide chat service to library users. Facebook, as a social environment, is a perfect place to distribute chat reference service. In some cases, applications are already available for Facebook users. Services such as MeeboMe and AIM Wimzi can be added to librarian profiles as a way for users to ask for help. In addition to these applications, Facebook also has its own chat service available to users. As librarians add library users to their Friends lists, they should not be surprised if they get the occasional question or comment about the library from Facebook Chat. 9: Collaborate and communicate with internal blogs. Several types of internal blogs exist. Especially for libraries serving members of a specific organization, some blog types may be visible only to those inside the organization, such as subject-specific or subject specialist blogs. A weeding blog discussing what has been removed from the library shelves and why. 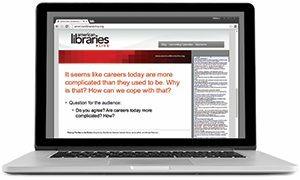 A training blog discussing what is being taught in library-run seminars and the related resources and logistics, giving you a place to discuss new ideas before trying them out. An acquisitions blog explaining buying decisions and reasons for purchase delays. A professional development blog where staff share what they learned at conferences, seminars, and courses or in their own reading. Blogs from each of your departments or teams discussing the work they are doing and their latest projects. The larger your staff, the more value they will see in these kinds of blogs as they will not have time to talk with everyone and learn what they are doing. Blogs discussing department work help keep everyone up to speed on what is happening in other departments, and invite a spirit of collaboration. 10: Hold a themed unconference to tackle important issues. Of course any library unconference already has a theme: libraries! But some unconferences, or library camps, are also built around a more specific theme. Technology-related themes are popular, but they’re not the only kinds of themed unconferences that have been successful. The L2 Unconference in Melbourne and Library 2.0 on the Loose in Perth were two Australian unconferences in 2007 that took Library 2.0 as a theme. Mashed Libraries UK 2008 was devoted to library applications of “mashups”: the programming practice of bringing data together from multiple online sources to create a new service. Many good things can come out of having a theme for your unconference. Rather than having sessions that range widely from high-tech topics to community and personnel issues, a themed camp will keep participants talking about issues around a single agreed-upon topic, offering participants a more focused experience. There will also be more carry-over from one session to another, and participants may feel comfortable with less uncertainty about what they’ll be talking about that day. These are just a few ideas for ways that libraries can start implementing these new technologies right now to enhance public services, communicate with staff, and facilitate remote collaboration. What makes these 10 tools and techniques particularly appealing is that most can be utilized to create cutting-edge programs and services with just a little investment of time and resources and a low learning curve. These simple suggestions can get you started creating innovative programs and initiatives using today’s hottest technologies as soon as next week. Ellyssa Kroski is an information services technologist at Barnard College in New York City as well as a writer, educator, international conference speaker, blogger (iLibrarian), and Library Journal columnist focusing on how technology enhances library services. She is editor of the Tech Set series—10 practical guides published this month by Neal-Schuman. Authors are Marshall Breeding, Jason Griffey, Robin Hastings, Sean Robinson, Lauren Pressley, Sarah Houghton-Jan, Cliff Landis, Steve Lawson, Kelly Czarnecki, and Connie Crosby. Information about the authors and their respective volumes is available at www.neal-schuman.com/techset.